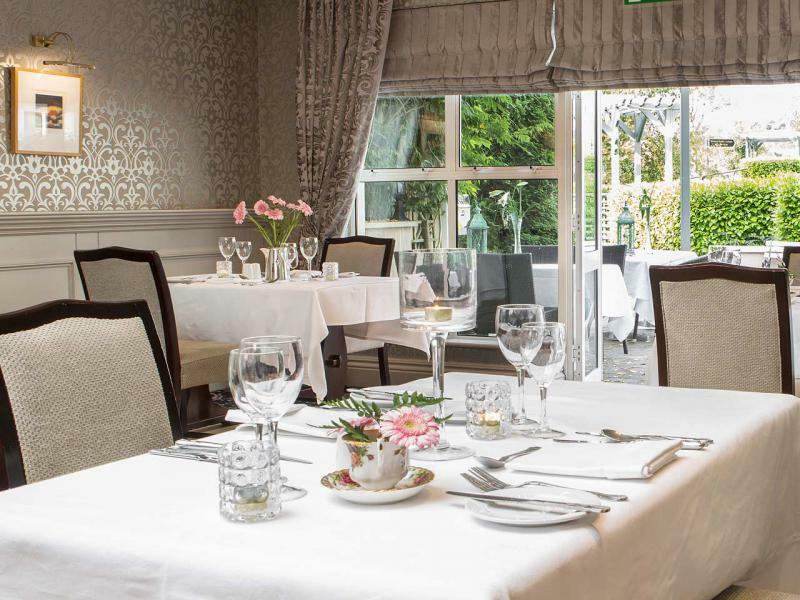 The 4 star Whitford House Hotel is regarded as one of the top hotels in Wexford. 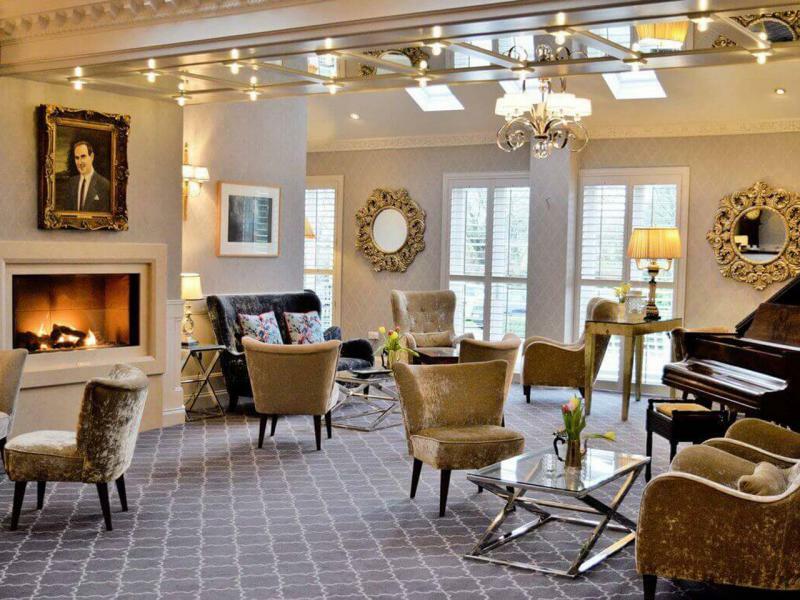 Known widely for combining old world charm with first class facilities, Whitford House Hotel is a unique family run property located just 3 miles from medieval Wexford town. 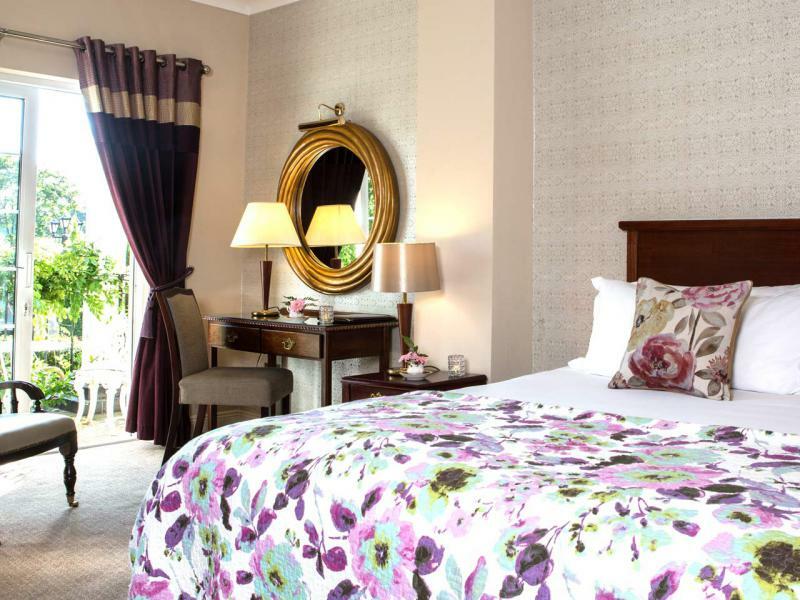 With 50+ years of experience in hospitality, this 4 Star Wexford hotel is renowned for luxury accommodation. B&B with Bistro DinnerThis is fantastic Offer not to be missed. 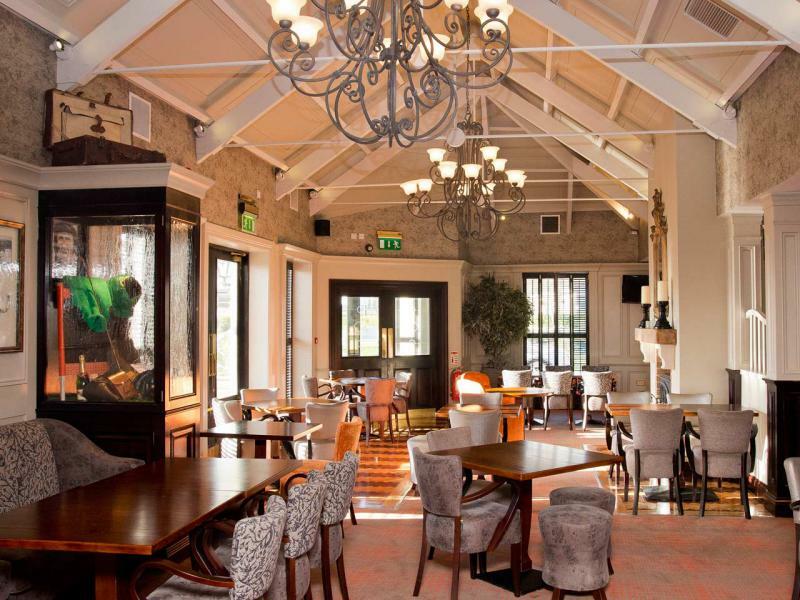 The package includes 2 Course Meal ( Starter, Main course with Tea/ Coffee) each night served in our Forthside Bar followed by Full Irish Breakfast. 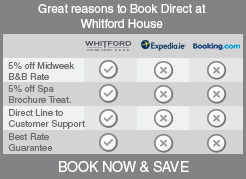 Book Direct Online Special and get 5% Offrom as little as €93 per room B&B.Online Special exclusively for loyal Whitford Hotel Customers. Book now and receive 5% Off of our B&B rate. 2B/B1 Dinnerfrom €112 per person sharing. Treat yourself to a haven of tranquility in which to unwind. Each room is lavishly furnished and spacious. 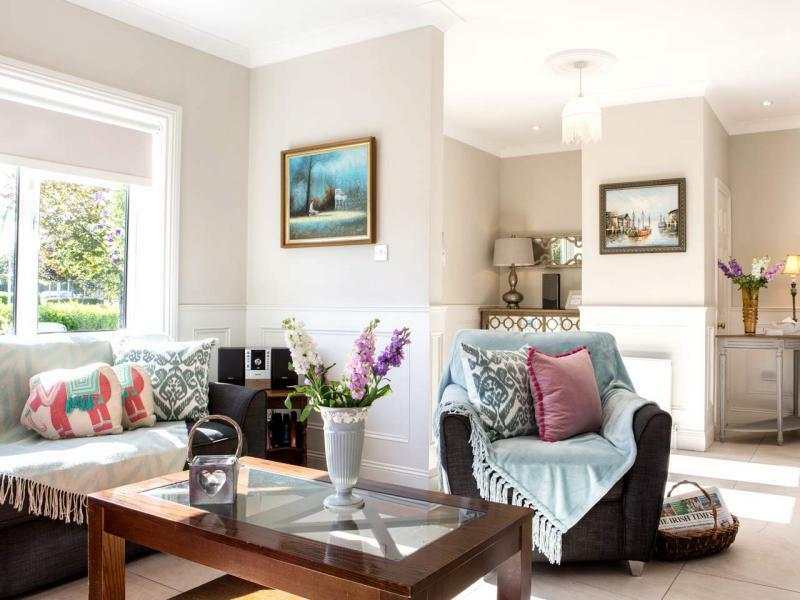 AccommodationComfortable and spaciousWhitford House Hotel understands that comfort and luxury are paramount to hotel guests, thus offering an impressive 36 eclectic style guestrooms that range from standard to superior. BramblesSelf CateringIf you are looking for hotels with self catering accommodation, Whitford House Hotel has a great self catering option available which is located adjacent to the hotel. Seasons RestaurantBlending classical with contemporaryAt the elegant and multi-award winning Seasons Restaurant, the food is excellent and the choice is varied, catering to all types of palates. Forthside Bar & BistroFinest seasonal ingredientsThe Forthside Bar Bistro invites guests to enjoy a dining experience that encapsulates intimacy and comfort in traditional surroundings. 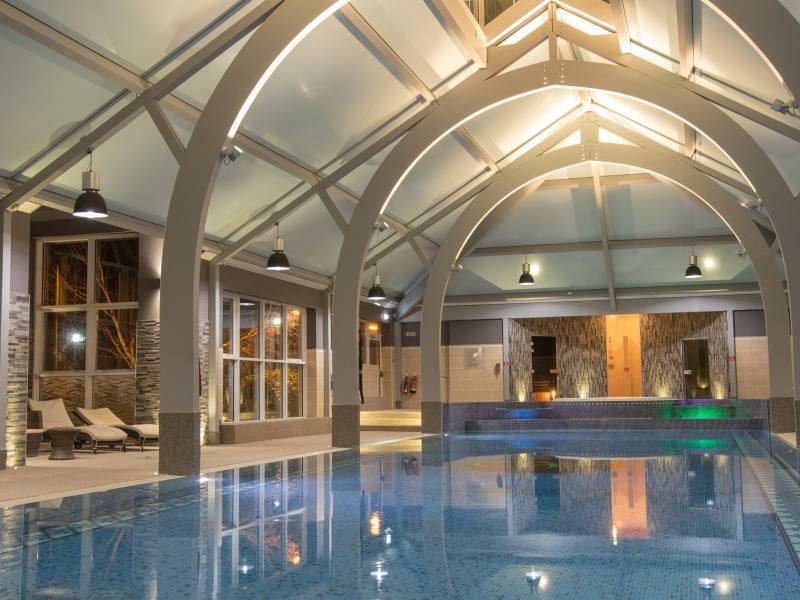 Leisure ClubThe Club Whitford ExperienceA refreshing swim to wake you up in the morning, a dip in the Jacuzzi before dinner, a splash about for the kids in the children’s pool or perhaps a fitness class. MeetingsThe perfect locationConference facilities at the Whitford House Hotel include two individually designed meeting rooms of varying size, ideal for small to medium size conferences. From ancient high kings to modern day poets, saints and scholars to ramblers and fishermen, Ireland's Ancient East pulsates with legendary tales, Click on the link below to prepare for a real life journey through this mystical place.